From the back cover: Deep Night is music for the hours between midnight and 6 A.M. Between the hours of midnight and 6 A.M. there can be two sound reasons for music; love has come or love has gone. We think we have covered both of these possibilities pretty thoroughly in this collection. Being of a naturally modest nature, I, as the arranger and conductor of the Ray Charles Singers, am loathe to say that the performances are warm, sincere and musically impeccable. So much for the why of the record. What of the record? What, indeed! 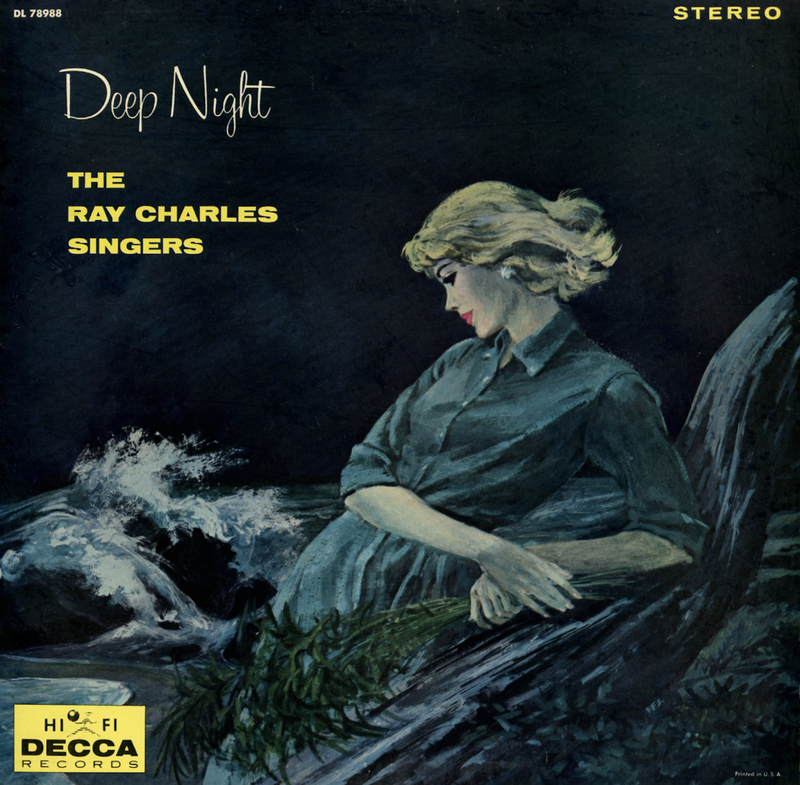 From Billboard - August 8, 1960: The very capable Ray Charles Singers offer an album full of smartly conceived and executed arrangements. Most are of the deeply sentimental mood variety for late hour listening, as with "Solitude," "You And The Night And The Music" and "All Through The Night." But for a change of pace there are some sprightly and novel renditions of "Dancing On The Ceiling," "Four Twenty A.M." and "Hit The Road To Dreamland." Fine quality for either or both moods, and built for broad appeal.